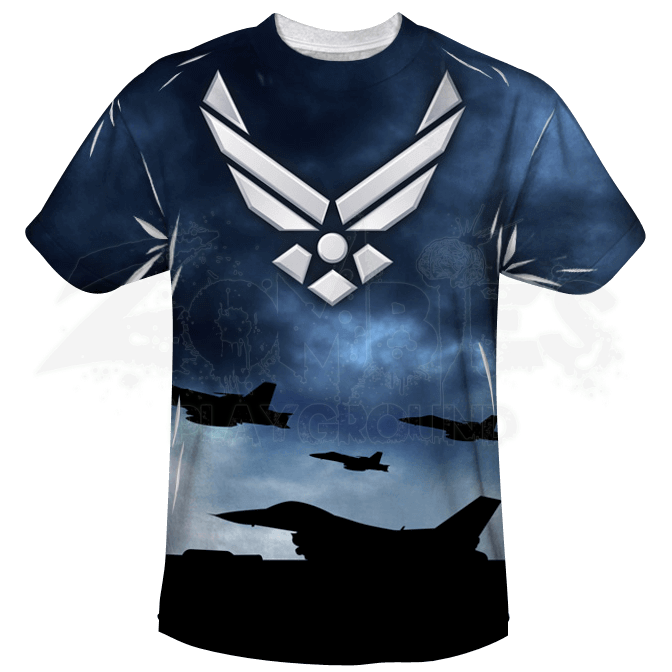 This shirt features silhouetted planes bravely taking off into a deep blue sky to protect the freedom of friends, family, and fellow soldiers. Take home this beautiful scene with the comfortable and stylish USAF Blue Skies T-Shirt. Printed on a cotton Poly Blend T-shirt this wrap around design and printing process ensures not only a unique and vibrant design but a great fitting and feeling t-shirt. For those who loyally serve or have served this USAF Blue Skies T-Shirt is a great reminder of the achievements and importance of this branch.